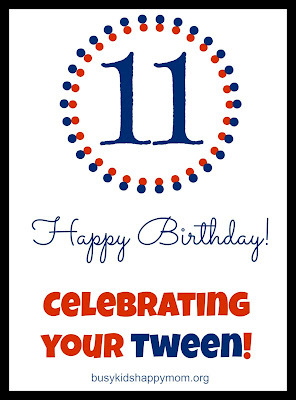 Do you have a tween boy or girl who has a birthday? Here’s a list of tween gift ideas put together with help from the awesome Busy Kids Happy Mom Facebook community. Legos – Favorite sets are: Chima, Hero Factory, Minifigures, and Lego books. *Bonus Idea for Harry Potter fans turning 11, click here. Super helpful list! We are learning that the jewelry making is a big hit around here for our little girl and our son is obsessed with legos!! !